To view a slideshow of the 2011 event visit the Conscious CT Gallery. 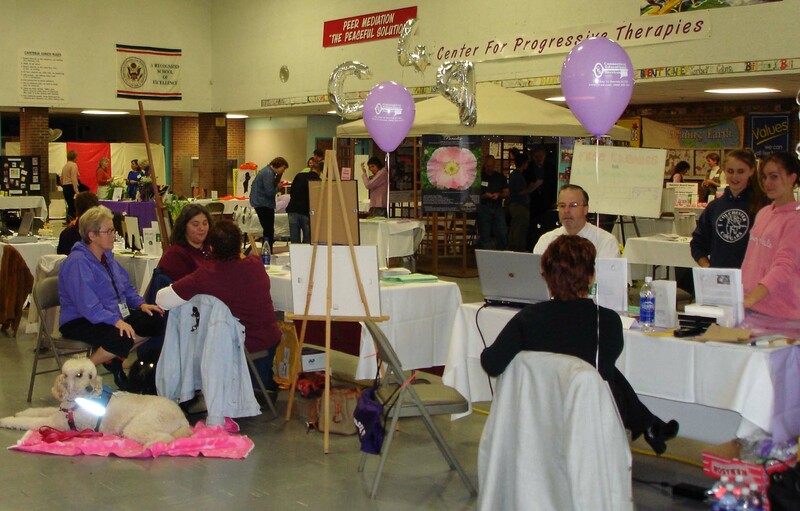 To view a slideshow of the 2013 event visit Photographer ANDRE GARANT’s Healthfest Photo Gallery. Please view the videos of our 2018 and 2019 Greater Vernon Holistic Healthfest to see some of the wonderful weekend that we all enjoyed! Our tenth Greater Vernon Healthfest is now open for Applications. Our ninth was a great experience and we are grateful to all the talented vendors and workshop leaders, the awesome volunteers, and the terrific attendees that made the weekend possible. We trust that 2019 will be just as fruitful, educational, and fun! We typically welcome 1200-1600 attendees. Feedback from exhibitors is that those attending were asking good in-depth questions and wanted to learn and understand their health options. 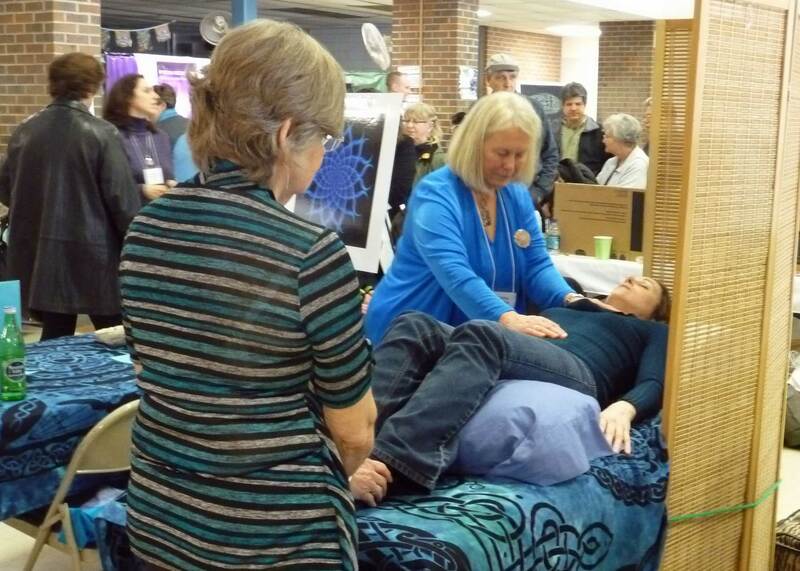 Please view the video of our 2018 Greater Vernon Holistic Healthfest to see some of the wonderful weekend that we all enjoyed! Admission is $5 adults, children under 16 free with a parent. Admission includes all talks and activities. All proceed go to the Vernon Youth Services Bureau for local youth programs. There will be overflow parking at the Center Road School, 20 Center Road (NOT Street) – right up the street from the Healthfest. We have a shuttle bus running during the entire event, both days, so no worries! There will definitely be a place to park! Alternative, complementary, holistic and integrative medicine are names you may see applied to what are sometimes considered as non-conventional. Not long ago practices such as acupuncture, naturopathy, massage, energy, herbs and even nutrition were not part of the healthcare system; but in the last decade they have moved into the mainstream, and are increasingly supported by sound research. Studies show that half of us have tried at least one form of alternative healthcare. Integrative Medicine is the term now preferred by hospitals and is considered to be choosing the most appropriate of all available options for the patient, be they conventional or non-conventional. * Consideration of the whole person; we are more than the sum of our parts. * Treat everyone as unique. Our family, work, environment and mental state all affect our health. * Emphasize healing rather than curing. Address the cause rather than the symptoms. * Create a partnership between patient and practitioner; take responsibility for your own health. Our Gold and Silver Sponsors – Click HERE to see full list! Vernon Youth Services Bureau (Michelle Hill) is a community based agency dedicated to providing: information and referral, prevention services, early intervention services, crisis intervention services, program coordination, and program development. Youth service bureaus (YSBs) act as advocates for youth, assess their needs, identify service gaps, and coordinate youth services. This event is supported by the Door Opener Magazine, serving Connecticut’s holistic and spiritual communities since 1986.